Are you new to couponing? Is the ‘lingo’ leaving you lost and alone? Do you feel like you are in a foreign country when navigating couponing sites? If so, then this article is for you! So What’s the Deal with What’s Your Deal? What’s Your Deal is a website that offers couponing newbies the opportunity to become familiar with couponing, and learn at their own pace. 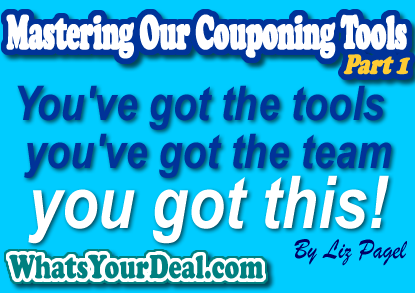 there are a variety of functions available to help new couponers learn the deals, discover the coupons, and get help from others. Below each function is outlined and explained in detail. Home Page On our home page, you will find a list of blogs, these blogs are designed to help the average person break down a deal, so that ANYONE can figure it out. You can scroll down the list and find a variety of money saving tips, from deals on toys, to propane tanks; there is NO limit to saving money with What’s Your Deal! While you are checking out the blogs, be sure to check in on the Recent 50 to stay current with the hottest deals! Couponing Basics Couponing basics covers how to get started. It offers suggestions on the best methods for organizing coupons, how to get coupons, and where to begin. All of the advice offered in the section is ‘tried and true’ by others just like you! Everyone starts somewhere, and Coupoing Basics will point you in the right direction. Coupon DataBase The coupon database is one of my FAVORITE features of our site! This feature allows you to search for ANY coupon, whether it be printable, or from the paper. The database will show you where the coupon came from, when it expires, and any limitations to it. This is a wonderful resource for making your shopping list, you could actually check every item on your list in a matter of MOMENTS to see if there was a coupon available. Gone are the days of pouring through the internet, looking for coupons and where they came from. An added feature is the list of quick links down the right hand side of the page for all printable coupons sites including Red Plum, Smart Source, Coupons.com, P&G Everyday and more! How To In the how to section, you will find everything from Store Policies to a couponing lingo guide. This is a great resource to bookmark and refer back to at ANY time! Categories On the right hand side of the page, as you scroll down you will find a table of contents. There you will have one click access to deals specific to one store, coupon memes, matchups, insert previews etc. Deal Search If there is something I love as much as the database, it is surely the deal search tool. This tool bar is located just under the Catagories section. Here, you can enter any product you are looking for and find out What’s The Deal. Again, this is a great tool to utilize when planning a shopping outing. Learning to navigate our site will be the best thing you can do for your couponing endeavors. 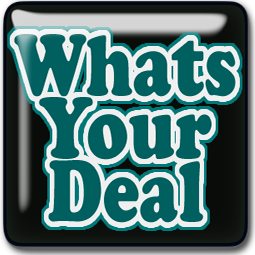 WhatsYourDeal.com will make couponing quick, simple, and understandable, for even the busiest, newest couponers out there! Good luck, and remember couponing is all about changing habits, once you start it becomes a way of life. Let What’s Your Deal help you get there!